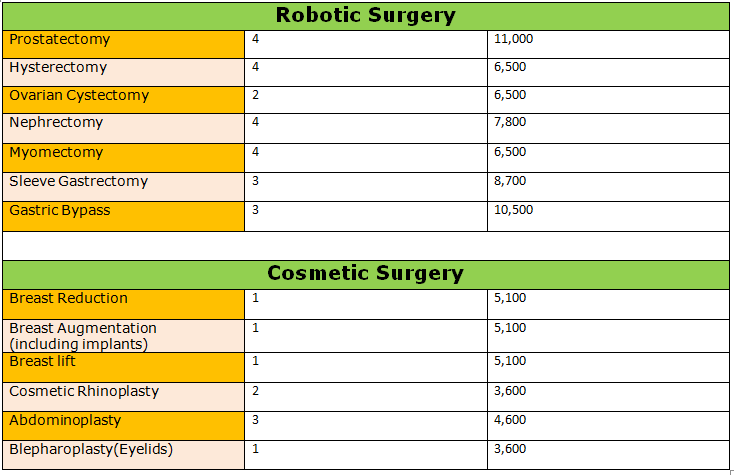 Disclaimer: The treatment package cost given above is just an indicative cost. Actual treatment cost can only be given once the patient is examined and his/her reports are evaluated by the specialist after his/her arrival at the hospital. The treatment packages are available for certain procedures or surgeries with predefined number of days in the hospital,type of room taken and consolidated treatment cost for the same. However, the treatment package is only limited to that particular procedure. 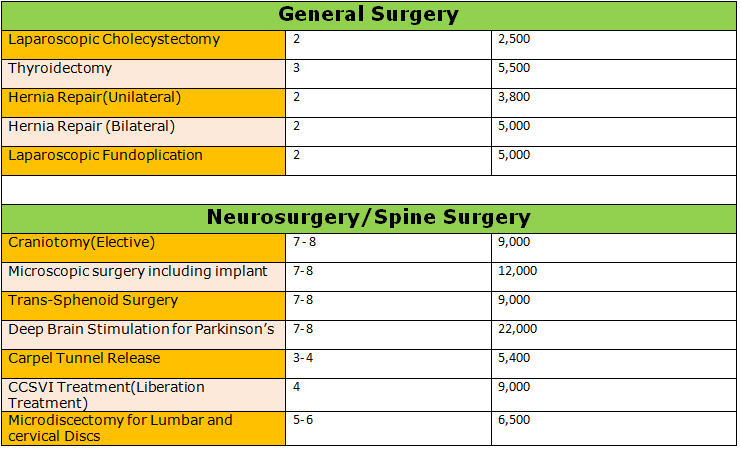 If there is any variation in the stipulated number of days of stay in the hospital,upgradation of type of room or revelation of any other co morbid condition or inevitable complication that requires additional medical intervention or addition of any other procedure,the treatment cost will vary. The above packages are given for stay in a Twin sharing room(two patients on sharing basis). Stay and food for one companion during the hospital stay is included in the package. Cost of stay outside the hospital(Pre admission and post discharge stay) in a guest house or hotel will be borne by the patient and is not included in the above package cost. You will be surprised to know that the savings you make on your medical treatment in India range from 65% to 90% of the cost that you will incur for the same treatment in US.